I recently experienced a home burglary and through the incident I have learned a lot. Although worse things can happen, coming home to a house that has been broken into is a traumatic experience. Losing “stuff” hurts a little, but more so are the lost memories, like photos on a computer, and the lost sense of safety a home typically provides. Here are some lessons I have learned from the experience. While not exhaustive, following these tips will leave you be better prepared if your home is ever targeted. Feel free to add your tips in the comments section. 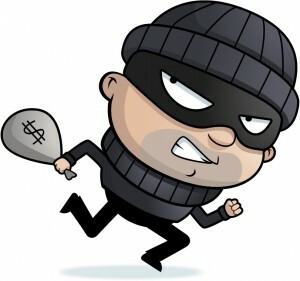 First off, when a home is burglarized, it is because burglars chose it over other homes for some reason. Finding ways to prevent your home from being targeted is a great place to start. Consider the following. Additionally, you can minimize the risk of harm by forcing intruders to get off the scene quickly. Here are some ideas. By combining the ideas above, you will be even more safe (e.g. if your alarm is going off and a neighbor sees a suspicious car they are more likely to call the police and write down vehicle information than if there is no alarm or the neighbor thinks it is your car). Even though your home is now a less attractive target and burglars have limited time to steal stuff, you still may want to take further precautions to protect important items in your house that are harder to replace. For computer files, consider an online data backup program like Mozy or Carbonite (~$50/yr). While potentially more expensive than an external hard drive, online backup is easy to set up and can’t be stolen by intruders. Scan important papers and photos onto your computer too. This helps in the event of a burglary and other events like a tornado, flood, or fire. Tag your pets. In case your dog or cat gets out through a door left open, make sure it has a collar with your phone number on it and a microchip that vets can use to identify your pet in an online database. In addition to preserving memories, you definitely want to make sure you have taken the right steps for preserving value. Great insurance helped us quickly replace lost items. Understand whether your home or renters insurance covers the purchased value or replacement value of your items. Understand the deductible on your home in the case of a burglary. The deductible amount will reduce how much money insurance gives you but also reduces your annual premium. Document expensive items in your home by taking pictures and savings receipts. Save serial numbers to help the police identify stolen items and to prove ownership. Download some tracking software to help find computers that have been stolen. Something as simple as free backup software like Dropbox will identify the IP address of a stolen computer when it is connected to the internet. You can find the internet provider of an IP address and the police can work with them to find the physical mailing address where a stolen computer is located. In the event of a burglary, file a police report as soon as possible and let them know what has been stolen to the best of your knowledge. This will make the insurance process easier. The more you do, the better your chances are at preventing a burglary or getting through one with minimal losses. You may never be perfectly protected, but it’s always helpful to be prepared.